Lani Gozlan is an experienced immigration and refugee lawyer who offers all inland and overseas Canadian immigration legal services to assist clients to successfully gain Permanent Residence. She is based in Toronto, Ontario, Canada. Lani Gozlan received her Honours B.A. from York University in Political Science and Anthropology and graduated from the University of Windsor, Faculty of Law. Lani Gozlan is called to the bar of Ontario as a barrister and solicitor and is a member of the Law Society of Upper Canada. For the past several years, Lani Gozlan has successfully represented claimants before the Immigration and Refugee Board, Immigration Appeal Division and the Federal Court of Canada. Ms. Gozlan is also a Notary Public and Commissioner for Oaths. Lani Gozlan volunteers her services and provides summary legal advice on immigration and refugee matters at the San Lorenzo Community Centre in North York, Ontario. Lani Gozlan has been interviewed by various media providing expert opinion on immigration and refugee issues. This includes CBC's Metro Morning Show with Andy Berry, CKLN 88.1, Vision Television and ethnic community newspapers. Lani Gozlan has provided workshops for prospective immigrants and persons without status in community centers. Lani Gozlan currently serves as a Board Member and part of the Executive Committee of the Latin American Arts Project (LAAP) a non for profit organization that exists to lead the implementation of artistic and cultural projects and initiatives for peace. (http://www.festivalallendeforpeace.ca) Part of Ms. Gozlan's involvement in this organization includes participating in the drafting of its by-laws and ensuring compliance with requirements of incorporation. Some of Ms. Gozlan's past accomplishments include co-hosting "Sexto Sol", a weekly community radio show which examined the indigenous struggle in Chiapas, Mexico. Ms. Gozlan was an active member of the Food For Chiapas Campaign from 1999 to 2003. In August 1995, Lani Gozlan was in the Executive for the European delegation in the United Nations World Youth Leadership Training Summit in New York, as part of the United Nations 50th Anniversary celebrations. 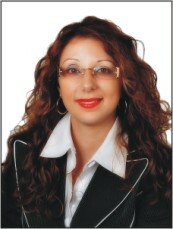 Lani Gozlan is now an active member of the Canadian Bar Association of Ontario, Immigration Law section.